Ear infections. They are unrelenting and, unfortunately, very often chronic. We clean our pets' ears repeatedly and do everything right, yet they just keep coming back. Why? Well, I’m here to shed a little light on this and also explain how chiropractic can offer a solution. If an ear infection is not the direct result of a bacterial infection, it can very well be a result of improper structure. Structure determines function, and chiropractic adjustments affect structure. The ear canal in both humans and animals can vary in shape and degree, yet overall, has a similar anatomy. The Eustachian tube drains downward and should do so without any sort of impingement along the way. Oftentimes, when this tube is impinged, the fluid can backup and become more viscous and clog the canal. A clogged canal is no good for any party involved and your poor pet will soon be fighting a terrible ear infection. Some medication may help clear up the infection and repetitive cleaning can clear it out temporarily. Undoubtedly, however, the ear infection will rear its ugly head again and soon we are back at square one. When the top bone in the cervical is experiencing improper rotation, it can directly affect the ability of the Eustachian tube to drain. With adjustments, this bone can be realigned and corrected structurally. When this is done, pressure is removed from the tubes and they are able to drain without the help of medication or constant cleaning. In fact, after an adjustment, many animals with a current ear infection will see intense amounts of draining, lessened inflammation, and a shortened length of infection. With all the conditions I see, those suffering from ear infections may respond the best and the fastest, and the difference takes place right before your eyes. The takeaway lesson here is that structure ultimately determines function. Improper alignment and structure in the cervical region can directly affect ear drainage. Sometimes a complicated ear problem can be solved through the simplest of procedures. Of course, there are situations where the ear is malformed and the patient will always struggle with infections, though this is rarely the case. A good shake and some icky discharge is always welcome after an adjustment. We implore you to seek out chiropractic care if your pet struggles with ear issues. You’d be surprised at how much it can help. Dr. Cole is with us every Tuesday night from 5 - 8 p.m. 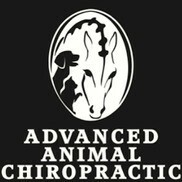 Call 248-548-3448 to schedule an adjustment for your pet today!